Oculus dropped prices on several VR titles on their store for Thanksgiving with those prices likely to persist through the weekend until Cyber Monday. Here’s what’s on offer. Dirt Rally – $40 (33% off) – a superb rally sim from Codemasters. Particularly effective with a steering wheel controller, this game is both punishing and rewarding. Edge of Nowhere – $30 (25% off) – a stunning third-person action thriller. Insomniac Games’ first designed-from-the-ground-up VR title, this is one of the premier experiences on the Rift. The Assembly – $20 (33% off) – an engaging first-person adventure from nDreams. Strongly narrative-driven, you’ll have to solve puzzles and deal with some moral challenges. iOMoon – $13 (13% off) – a cockpit-based space exploration game in Early Access. A spectacular journey into the heart of Jupiter’s moon, ‘iO’. Space Jones VR – $10 (38% off) – a compelling space shooter, with head-tracked flight controls, weapon upgrades and varied combat. Worldy Cup VR – $5 (50% off) – a neat soccer game with a retro voxel art style in Early Access. HordeZ – $14 (30% off) – an intense first-person zombie shooter. Audio Arena – $7 (30% off) – a fun music-based action game. 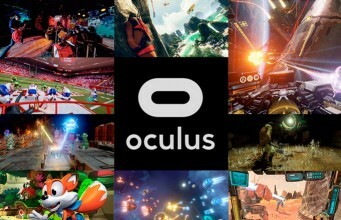 The post Oculus Store Thanksgiving Sale Now On, Up to 50% Off Rift Games appeared first on Road to VR.